FileCloud announced the immediate availability of FileCloud with FIPS 140-2 validated encryption. The FIPS 140-2 validation was granted after SafeLogic, an independently accredited lab, submitted the FileCloud encryption module through a series of tests. 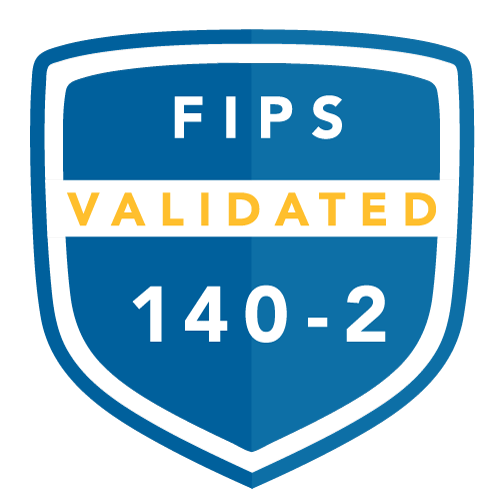 After proving conformance with the FIPS 140-2 standard, the module’s test report was sent to CMVP, the Cryptographic Module Validation Program, operated by the United States National Institute of Standards and Technology (NIST) and the Communications Security Establishment (CSE) of Canada. Their joint office confirmed compliance and issued certificate #3338, available publicly here. FileCloud has demonstrated a commitment to excellence by completing the FIPS 140-2 validation process and its platform is now eligible to be procured by U.S. federal agencies, including the Department of Defense, as well as for use in regulated industries such as utilities, finance, and health care. The certification offers the ability for FileCloud to deploy its platform across the spectrum of verticals that require the FIPS 140-2 certification, providing the company with a significant market opportunity to accelerate growth. SafeLogic provides innovative encryption products for applications in mobile, server, appliance, wearable, and other constrained environments. Our flagship product, CryptoComply™, provides drop-in FIPS 140-2 compliance with a common API across platforms, while our RapidCert process has revolutionized the way that certificates are earned. SafeLogic’s customers include many of the most influential and innovative companies in technology. SafeLogic is privately held and is headquartered in Palo Alto, CA. For more information about SafeLogic, please visit www.SafeLogic.com. FileCloud today announced significant traction in the global healthcare sector with customers including the Max Planck Institute of Neurobiology, SigmaCare, American Pediatric Society, Maimonides Medical Center, Columbus Regional Health and Norfolk and Norwich University Hospitals. 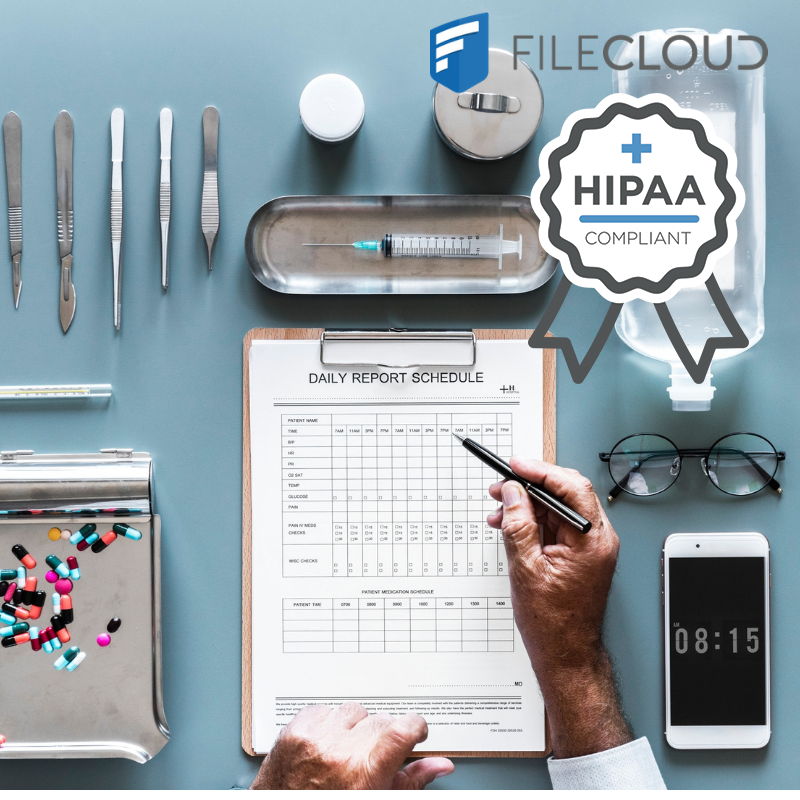 In addition, as of November 2018, FileCloud has started signing the HIPAA Business Associate Agreement (BAA) for enterprise customers who require HIPAA compliance. Gartner defines the Content Collaboration Platforms market as a range of products and services that enable content productivity and collaboration, aimed at individuals and teams both inside or outside an organization. CCPs support lightweight content management and workflow use cases. Core functionalities include mobile access to content repositories, file synchronization across devices and clouds, and file sharing with people, applications and content repositories with dedicated folders. FileCloud has received more than 80 reviews from end users, garnering an average score of 4.8 on a scale of 1-5. “Overall the FileCloud on-premise solution has been very beneficial to our organization. It has enhanced our team’s ability to troubleshoot and automate the process with our internal and external stakeholders,” said an information systems analyst in the government Industry. “Excellent product, meticulous documentation, great customer service.” said a Director of IT in the Services Industry. “The FileCloud interface is intuitive, management is simple, and it’s allowed my remote users to access network resources by any means, including phone and laptop, while they are traveling,” said an IT Manager in the retail services Industry. FileCloud is used by thousands of organizations such as NASA, U.S. Army ERDC, the Swiss Federal Institute of Intellectual Property, Lawrence Livermore National Laboratories, the United Nations Environmental Program and the UAE Prime Minister Office. FileCloud is the perfect solution for companies that have specific requirements for data ownership, manageability, security monitoring, and regulatory standards. 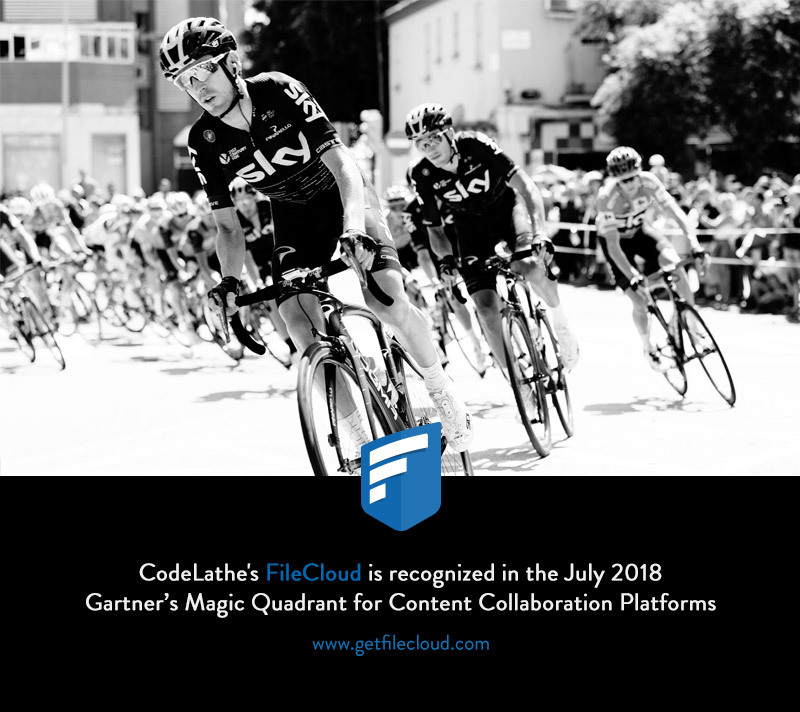 CodeLathe’s enterprise file sync and sharing (EFSS) solution FileCloud, has announced the availability of its latest FileCloud with metadata support in the Microsoft Azure Marketplace, an online store providing applications and services for use on Microsoft Azure. FileCloud customers can now take advantage of the scalability, high availability, and security of Azure, with streamlined deployment and management. FileCloud’s solution on Azure includes the metadata feature to help enterprises organize files effectively, simplify content discovery and improves governance, company officials said. FileCloud’s new features are designed to meet the needs of diverse Azure customers across many industry verticals. 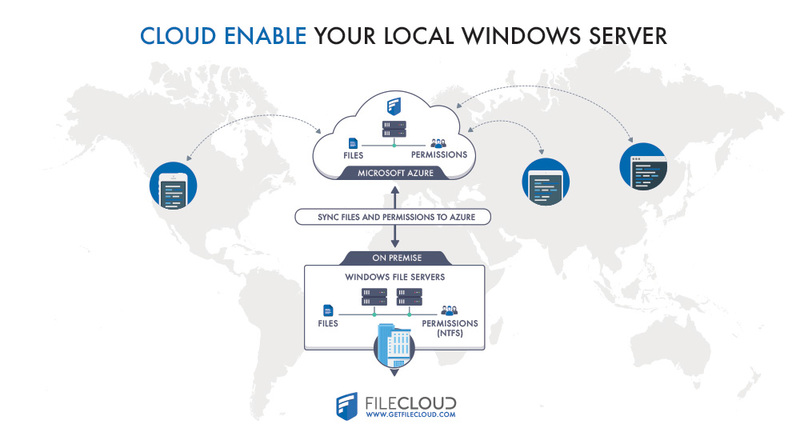 FileCloud’s apps for iOS, Android and Windows provide mobile access to remote enterprise files stored on Azure. In addition to remote access, users can use FileCloud mobile apps to share files, edit documents and automatically backup media from mobile devices to Azure, according to company officials. 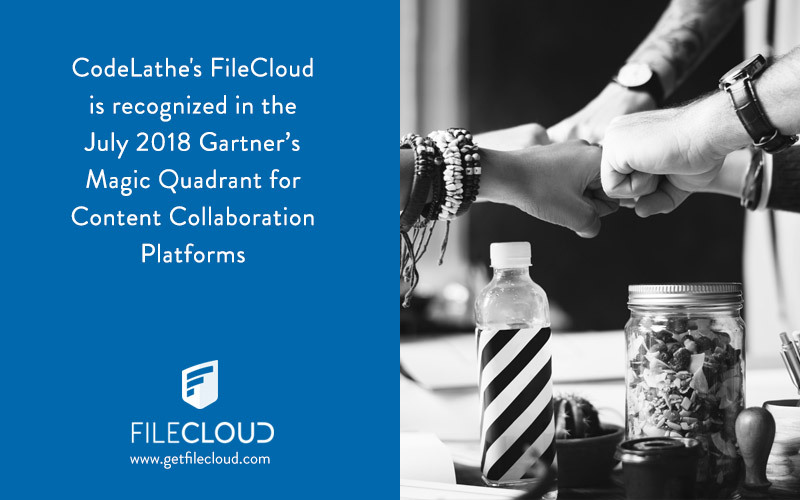 CodeLathe’s FileCloud was recently recognized in 2018 Gartner’s Magic Quadrant for Content Collaboration Platforms. Customers include a wide spectrum of organizations across the globe including NASA, U.S. Army ERDC, the City of San Diego, Fiserv and the UN Environment Programme. FileCloud, today announced NextGen Breach Intercept, its expanded anti-virus integration capabilities and end-to-end data protection for the enterprise. With advanced security features including support for FIPS 140, FileCloud enables organizations to store, manage and collaborate on their most critical content with agility, security, compliance and with sovereignty over their data. Content collaboration is central to many organizations’ abilities to conduct business. With increasing devices and endpoints that can access, upload and share data, protecting data is critical. With FileCloud’s NextGen Breach Intercept, any file that is uploaded or synced is scanned for viruses. If a malicious file is found, a systems administrator is notified. This new version can be integrated with any anti-virus solution that supports ICAP protocol. With 85% of an organization’s content housed on on-premise file servers, enterprises are adopting cloud strategies that combine private and public clouds in blended infrastructure environments to achieve business agility, security, compliance or data sovereignty reasons. FileCloud is an advanced, scalable platform that solves the needs of large enterprise organizations. NextGen Breach Intercept will be available late September 2018. 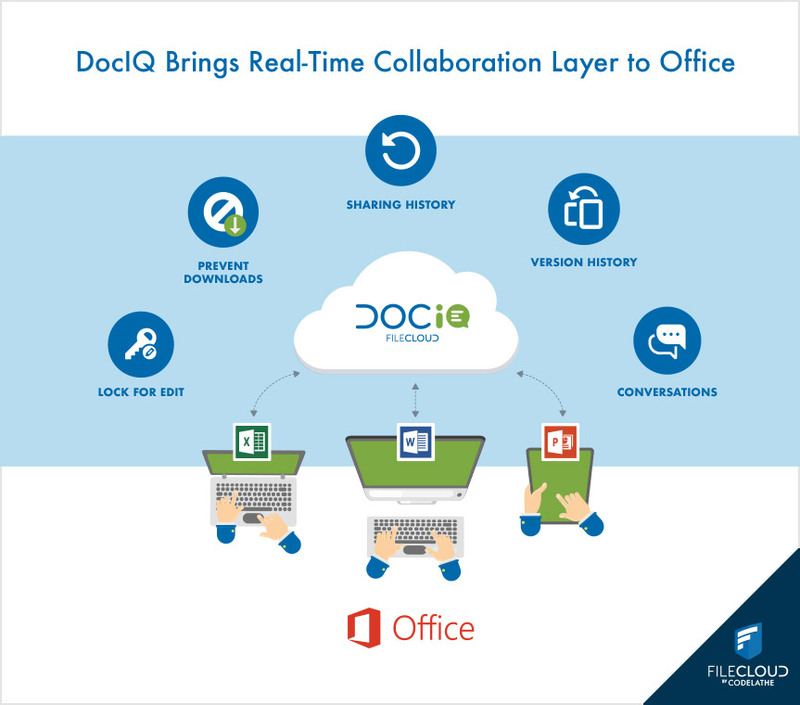 FileCloud, a leading cloud-agnostic enterprise file-sharing and collaboration platform, recently announced an integration with OneLogin to provide enterprise customers with a seamless method to authenticate users. OneLogin is a fast-growing provider of Single-Sign-On and Multifactor Authentication (MFA). 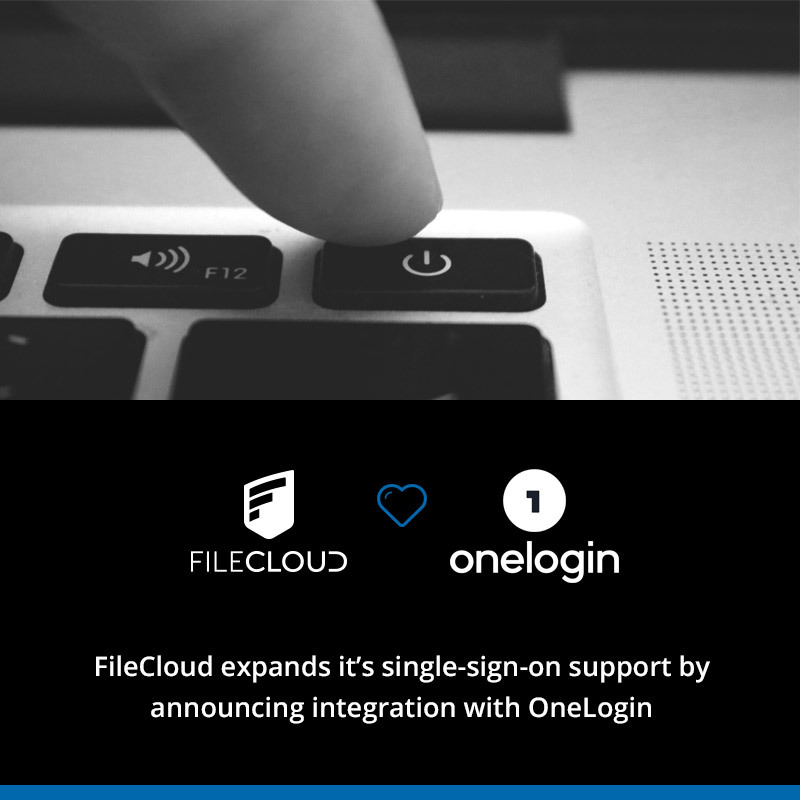 Using this integration, companies can now provide access to FileCloud accounts using their OneLogin’s Single Sign-on feature (SSO). The integration means that instead of using a separate user id/password for FileCloud, users can log in into FileCloud using a company-wide Single-Sign-On user id/password. SAML has become one of the most popular enterprise SSO standards, enabling users to access all of their enterprise cloud applications after signing in just one time. FileCloud enables SSO authentication via SAML with specific support for Okta, Centrify, OneLogin, and Microsoft Azure Active Directory. 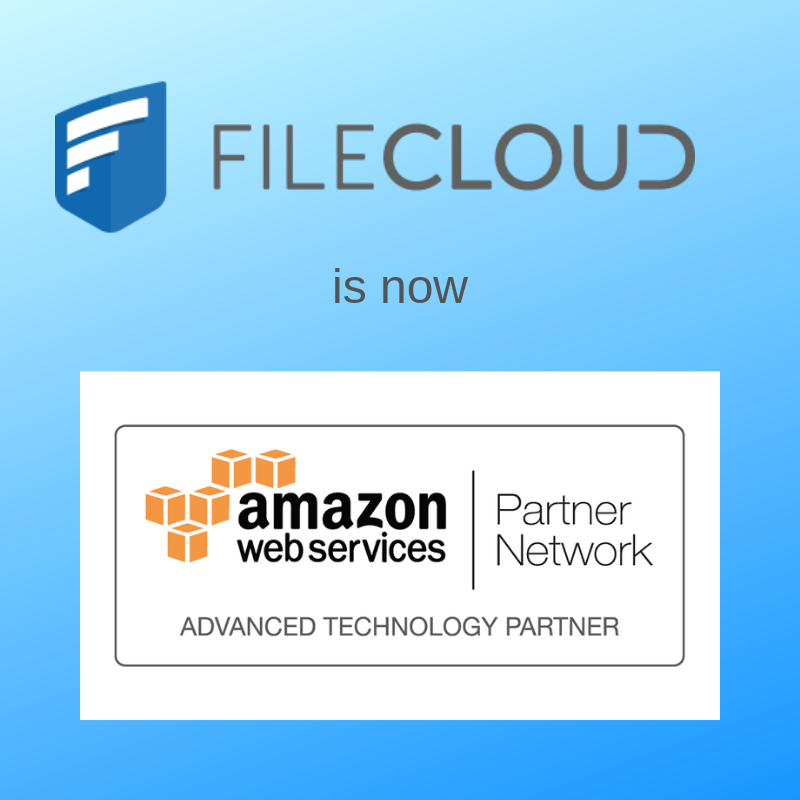 Leading enterprises and government organizations rely on FileCloud for storing and collaborating on their business-critical data. Organizations require a highly-accurate and easy-to-use method of identity verification in order to keep sensitive information safe while providing a simple user experience. FileCloud helps them accomplish this through various security features and integration with external apps and services such as OneLogin. 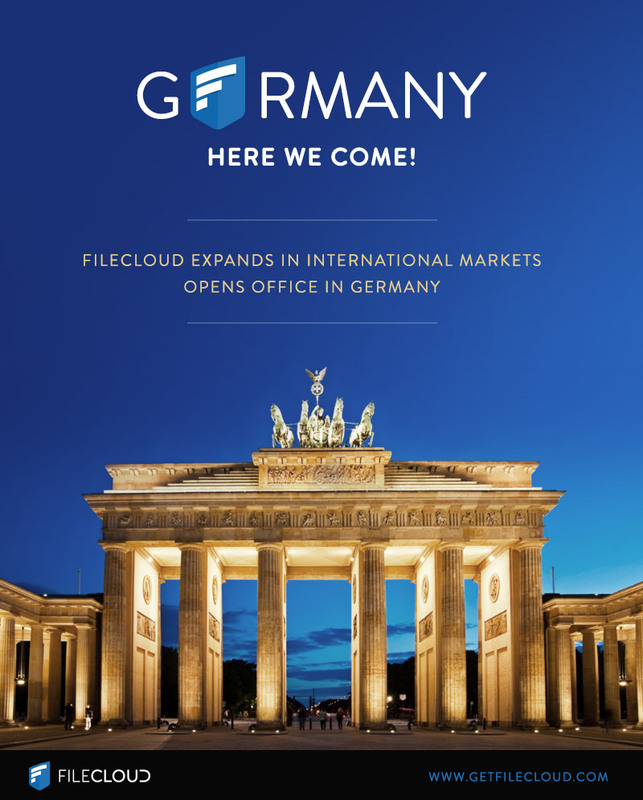 FileCloud​, today announced that it is opening a new office in Germany to better serve European markets and to recruit local talent. Current European customers include the Swiss Federal Institute of Intellectual Property, United Nations Environment Program, Deloitte and the Hanze University of Applied Sciences. GDPR is driving a need for solutions that offer data ownership and control. 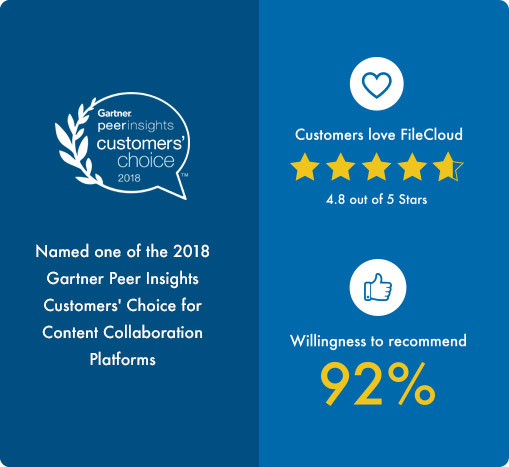 FileCloud is a leader in the enterprise file sharing and collaboration space that enables collaboration across organizations while delivering total control and ownership. With recent company size and revenue growth, this expansion to Europe will contribute to the global traction of FileCloud’s solution. FileCloud was the first private cloud enterprise file sharing and collaboration solution to release features to address GDPR. FileCloud continues to introduce many product features that are developed mainly to cater to European enterprises. FileCloud recently announced ‘pattern search’ which allows organizations for personal data patterns such as driver’s license, national identification number, passport number etc. As defined by Gartner, “the content collaboration platform (CCP) market covers a range of products and services that enable content productivity and collaboration. CCPs are aimed at individuals and teams, inside or outside an organization. Additionally, CCPs increasingly support lightweight content management and workflow use cases.” The report evaluated 14 different vendors based on their ability to execute and completeness of vision. FileCloud is used by thousands of organizations such as NASA, U.S. Army ERDC, Swiss Federal Institute of Intellectual Property, Lawrence Livermore National Laboratories, United Nations Environment Programme and the UAE Prime Minister Office that have specific requirements on data ownership, manageability, security, monitoring and regulatory standards. Gartner, “Magic Quadrant for Content Collaboration Platforms,” Monica Basso, Michael Woodbridge, Karen A. Hobert, 9 July 2018.